Dynamics GP is Microsoft’s ERP solution for small and midsize businesses. Suitable across all industries, Dynamics GP helps you gain better control of financials and better management of inventory and operations to help your business grow. MetaOption has been hosting and managing Dynamics GP customers since 2006. Let the experts help you keep cost down while ensuring your GP environment is available anywhere, anytime on both Azure and in our private cloud. We had challenges with space and power in our computer room for our Dynamics GP, SharePoint, CRM, and Exchange systems. Our small IT staff also lacked the required skills to support the solutions. We decided to outsource to MetaOption. This has been a good decision and our technology issues have been resolved. Eliminate large capital spending by leveraging MetaOption shared resources. Running Dynamics internally may require additional internal hires. By outsourcing, you get highly specialized Dynamics resources at a fraction of the cost of additional headcount. 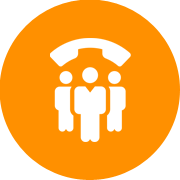 MetaOption engineers have 15+ years experience deploying and supporting Microsoft Dynamics. 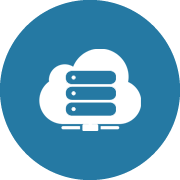 Every environment is custom engineered to ensure performance across all verticals, customizations and integrations. Our expert support staff are responsible for the monitoring and performance of your infrastructure and applications. We provide our customers with extraordinary response times and experienced answers. MetaOption optimizes Dynamics environments through a combination of innovative engineering, proactive operational activities and reactive support services. We engineer all Dynamics systems to take advantage of our flash-accelerated SAN technology for the fastest ERP performance in our industry. In addition to monitoring infrastructure like most of our competitors, we also monitor the application health for performance, reliability and security. MetaOption has industry leading up-time guarantees for infrastructure and applications. Our customers rely on us to ensure there are no un-scheduled outages throughout the term of their contract. As needed, count on us to add additional infrastructure to support your growing business at no additional cost. We engineer your environment so everything is included in your per user per month price regardless of industry and geography. Simple, subscription pricing that’s guaranteed! MetaOption per user per month pricing is all inclusive. You can trust that your monthly invoice will contain no surprises. 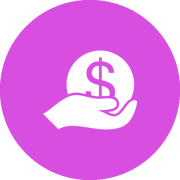 With our waterfall pricing structure specific to each user type, we drive your cost as low as possible. The higher the user count, the lower the unit cost. Receive a no-cost, no-obligation quote from the proven experts. Our team of experts will review your deployment and provide a detailed quotation at no cost and completely free of obligation.